Eyenuk Inc., is a global artificial intelligence (AI) medical technology and services company and the leader in real-world AI Eye Screening™ for autonomous disease detection and AI Predictive Biomarkers™ for risk assessment and disease surveillance. 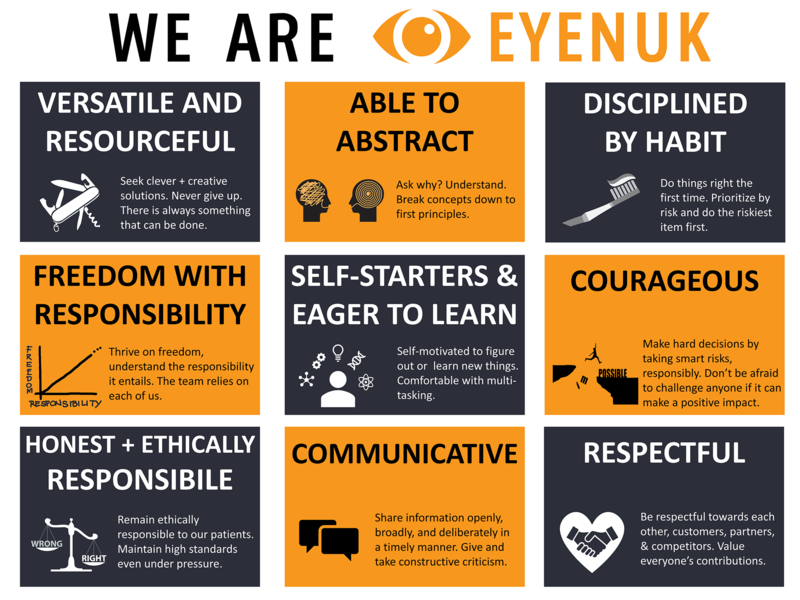 Eyenuk is headquartered in Los Angeles, California, USA and is on a mission to screen every eye in the world. Eyenuk is developing a portfolio of AI-based products to ensure timely diagnosis of life- and vision-threatening diseases, including diabetic retinopathy, glaucoma, age-related macular degeneration, stroke risk, cardiovascular risk, and Alzheimer’s disease. Let's work together to ensure that every eye in the world is screened! Click here to visit Eyenuk's job portal where you can explore and apply to all open positions for which Eyenuk is hiring. Being versatile and resourceful: When faced with a problem, we do not give up. We believe that there is always something that can be done. We are willing to learn and explore new things (outside our domains or comfort zones). We are motivated to come up with clever and creative solutions and are not afraid of failure. Being able to abstract: We always ask why and understand the underlying reasons. We break concepts down to first principles. We also abstract the concepts and understand them in the context of the bigger picture, without losing sight of important details. Being disciplined by habit: We make a habit of doing things right the first time. We prioritize based on risk i.e. we do the most risky/unknown things first. We have high standards for ourselves and strive to meet them even when under pressure. We strive to be productive while paying sufficient attention to detail. Enjoying freedom with responsibility: We enjoy the freedom we have but understand that responsibility comes with freedom. We remember that the rest of the team relies on us and that our work is important to Eyenuk. Therefore, we are responsible people who thrive on freedom and are worthy of freedom. 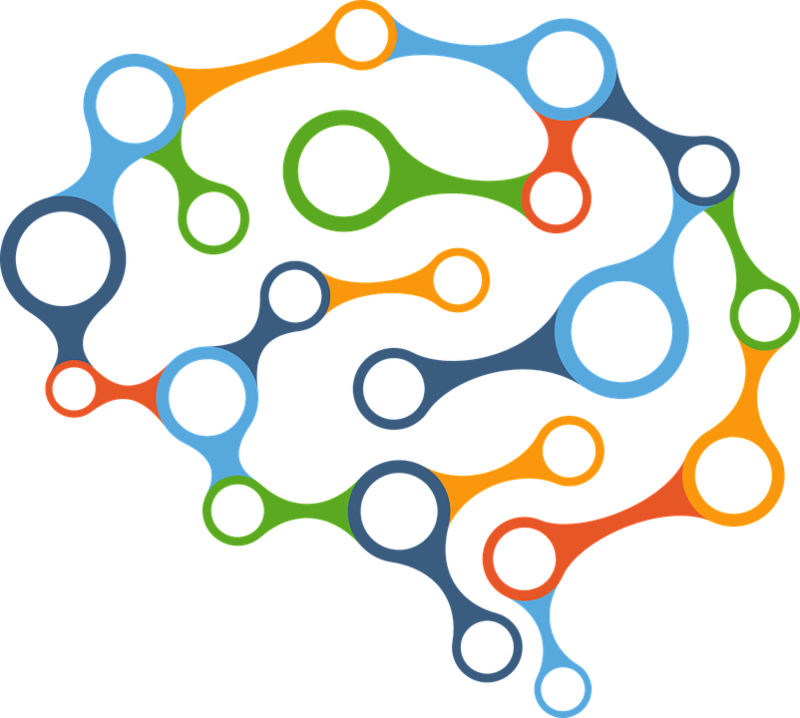 Being a self-starter and eager to learn: We are self-motivated to figure things out and learn new domains. We are comfortable dividing our time and working on multiple projects at a time. We volunteer to take on new and hard tasks and also teach others. We seek others’ opinions with open minds and are not afraid to change our opinions. We are self-aware and know our strengths and limitations. Being ethically responsible and honest: We are ethically well-grounded and remain ethically responsible towards patients. We have high standards that are not compromised under pressure. We express our honest opinions without being judgmental. We are not afraid to speak up or criticize but do so constructively and respectfully. We remember that it takes a lot of time and effort to build trust and reputation, but very little to lose it. Being courageous: We make hard decisions by taking smart risks, while also taking responsibility for them. Before deciding, we critically analyze the benefits and risks of various options independently and collaboratively. We are confident about our viewpoints, while at the same time being open to changing it based on new information or others’ viewpoints. We are not afraid to challenge others (even authority) when we can contribute to the matter at hand. Communication: We share information openly, broadly, and deliberately in a timely manner, via emails, documents, meetings, or discussions. Our communication is clear, concise, and solution-oriented. We provide constructive criticism and also accept critique well without getting defensive. Being respectful: We are respectful towards each other, customers, partners, and competitors. We treat everyone equally and with respect. We value everyone’s contributions. We respect the company culture.